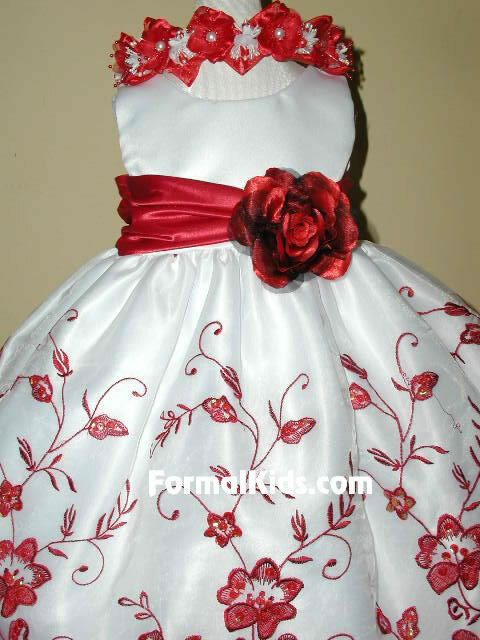 amazing infant formal dress with satin bodice and satin sash accent at waist with removeable satin flower at hip. skirt is detailed with satin floweral ebroided design which cascades upward along skirt and is heavily covered in matching colored sequines. dress sparkles from all angles to create a stuning look! sash tie in back ties into bow. $59.99 headpiece shown at neck available for purchase, fancy crown. *matching socks, shoes, slip, and hair accessories available. 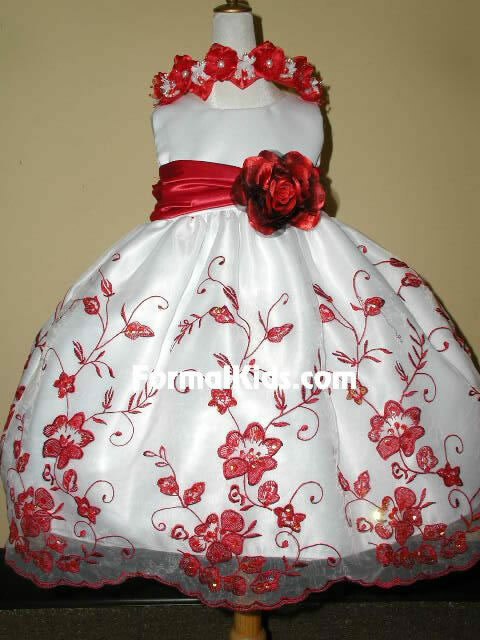 see children accessories. peticoat slip recommended for shown fullness.